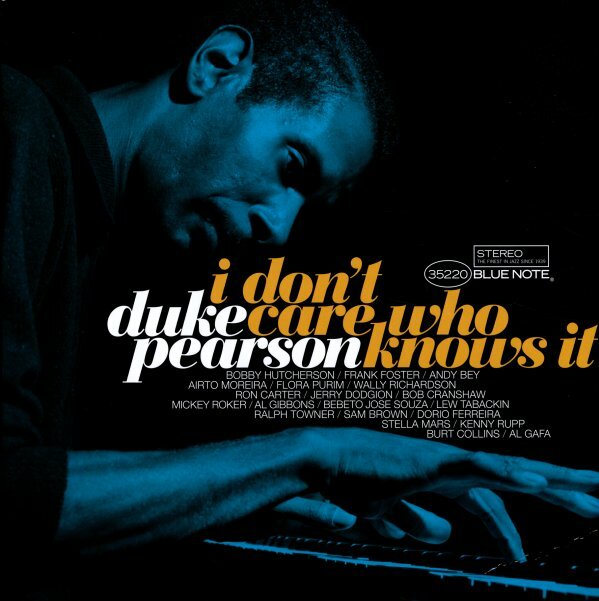 One of the greatest albums ever from pianist Duke Pearson – recorded at a time when the musician was taking a bigger role at the Blue Note label, and started exploring some great musical territory in the process! The tracks here were all recorded in the late 60s – but not issued by the label until decades later, when they were pulled together in this fantastic double-length set – a record that comes as a real revelation. The work's quite different than Pearson's big band recordings, or his earlier soul jazz ones – and is a brilliant mix of Brazilian styles, electric instrumentation, complicated arrangements, and some of the more head-oriented jazz that was cropping up on Blue Note at the time – particularly some of the United States Of The Mind albums by Horace Silver! Silver's musical partner Andy Bey sings on the album's title cut – and other musicians include Frank Foster on tenor, Bobby Hutcherson on vibes, Wally Richardson on guitar, Jerry Dodgion on flute, Ralph Towner on acoustic guitar, and a young Airto on percussion. Titles include the fantastic "I Don't Care Who Knows It", a great version of "Canto De Ossanha", and the tracks "Bloos", "I Don't Know", "Captain Bacardi", "Rosemary's Baby", "Dialogo", "Upa Neguinho", and "Xibaba". © 1996-2019, Dusty Groove, Inc.